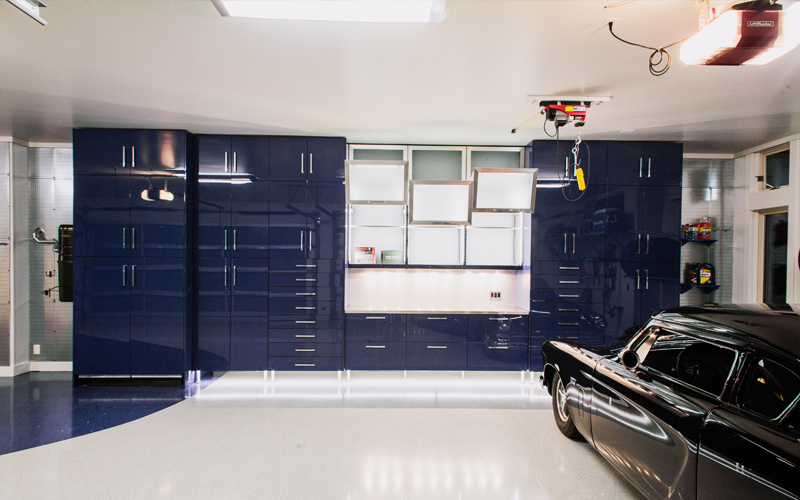 PARAPAN® high gloss solid surface acrylic doors are ideal for this garage design where impeccable design is desired and durability is essential. Cobalt Blue PARAPAN® is combined with AF003 aluminum frame cabinet doors in the brushed stainless finish with satin glass inserts for a masculine, modern edge. AVENTOS lift systems by Blum add additional functionality to the cabinetry. Image courtesy of Norcia Fine Custom Cabinetry. This beautiful closet features custom mirrored closet doors with a full glass overlay to add the illusion of additional space. The aluminum frame cabinet doors in AF003 profile and °eluma LED shelving in the built-in cabinetry add luxurious details to this elegant closet. 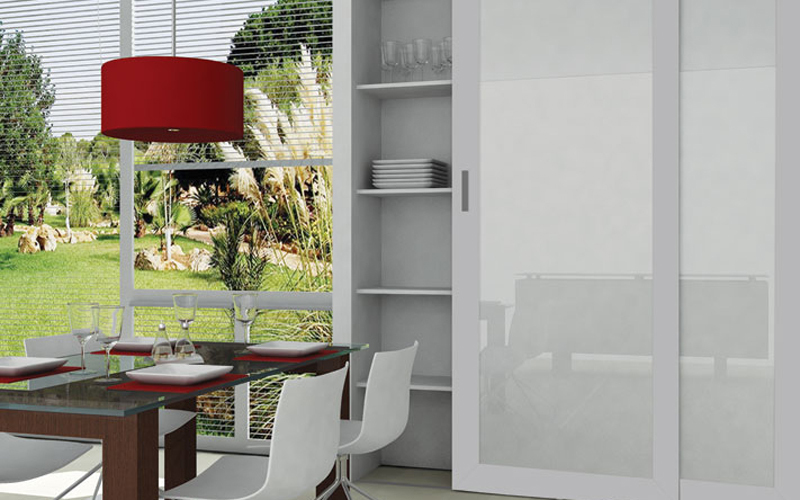 Sliding door systems are an effective way to save space in interior design. These AF007 aluminum frame sliding doors with a natural aluminum finish and white backpainted glass inserts enclose a pantry area in a small kitchen space. 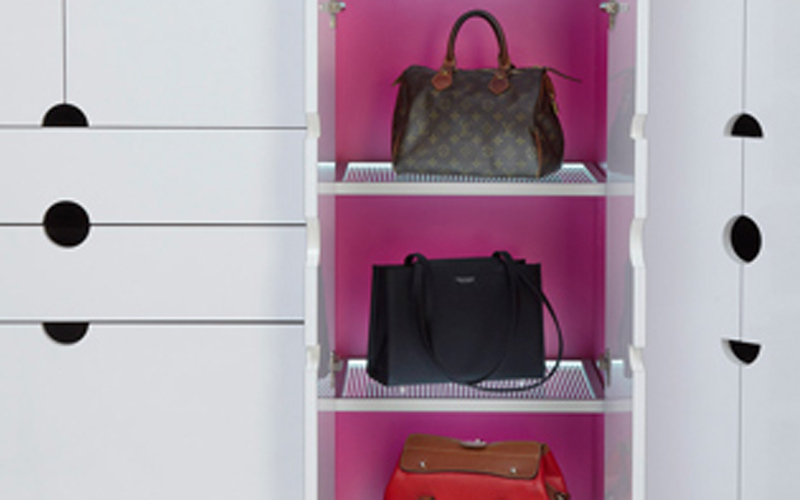 The patented lighting technology of our eluma shelving make for a great accent lighting option for your storage space. This closet features shelving with our EL001 frame in natural aluminum finish, warm LEDs and 1/16" etched glass. Image courtesy of Rev-A-Shelf.